Facilitating iterative digital content delivery | Clarity Innovations, Inc. The Bridges Educator Site challenge was in figuring out a format that would work across devices and deliver it in a way that made sense to how teachers draft lessons and utilize their materials: all while staying out of their way! It wasn’t about creating a cumbersome learning management system: it was about providing the things that educators truly need, making it accessible, and making it very practical and easy to implement. When Math Learning Center created a new edition of their Bridges in Mathematics curriculum, they decided to provide all of their publications in digital format, as well as many of their other resources. That way, every educator using Bridges material could simply download the curriculum, find online resources for use in the classroom and get implementation tips and strategies. Evaluating their textbook product was a very complicated process, especially in learning how teachers would use and access the materials across a variety of devices. We began with a discovery phase, which involved educator interviews, then a design phase, writing requirements materials, putting together mock-ups and wireframes, then the development phase: basically building the website so that they could have the facility to upload their own materials, communicate with teachers, provide ongoing implementation support in the form of blogs and articles and then also make use of curated online resources aligned with the curriculum. Working very closely with Math Learning Center, we took their current textbook product and migrated it online to take advantage of Drupal 7 capabilities. 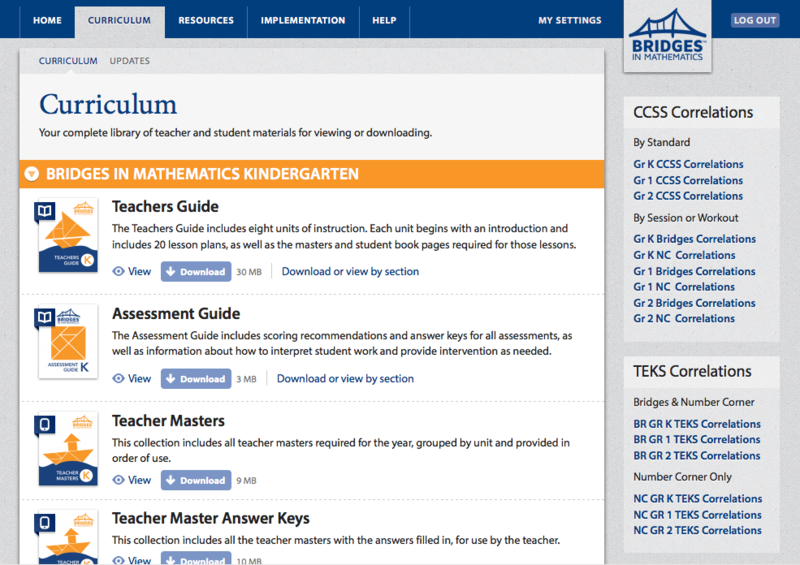 The Math Learning Center can now provide online previews of their Bridges in Mathematics curriculum instead of sending publisher samples.